The evocative cellar of the end ‘800 shows brick and oak vaults; the floor leaning on the ground and many basement windows make a perfect microclimate for the storage and ageing of wines selected by our sommeliers. 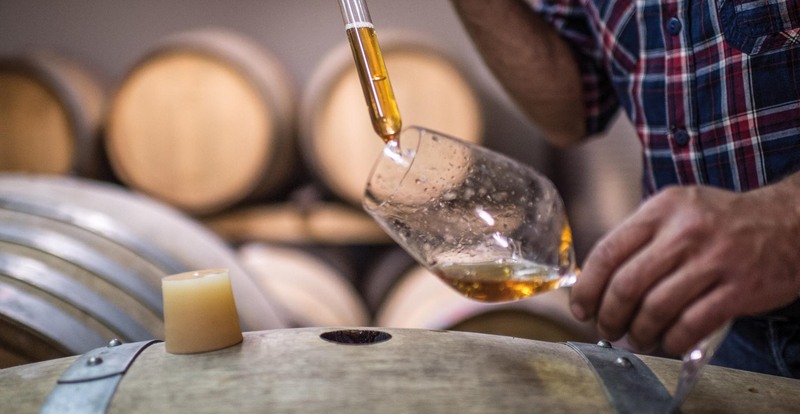 The selection of local wines, the continuos search for excellence, whether they are small farmers or established labels, the emphasis on French wines and products from organic farming, represent the structure of our cellar. A cellar telling stories of vineyards and wines, which Mauro and Carmine will be happy to talk about, helping you select the best wines to be matched with our dishes. 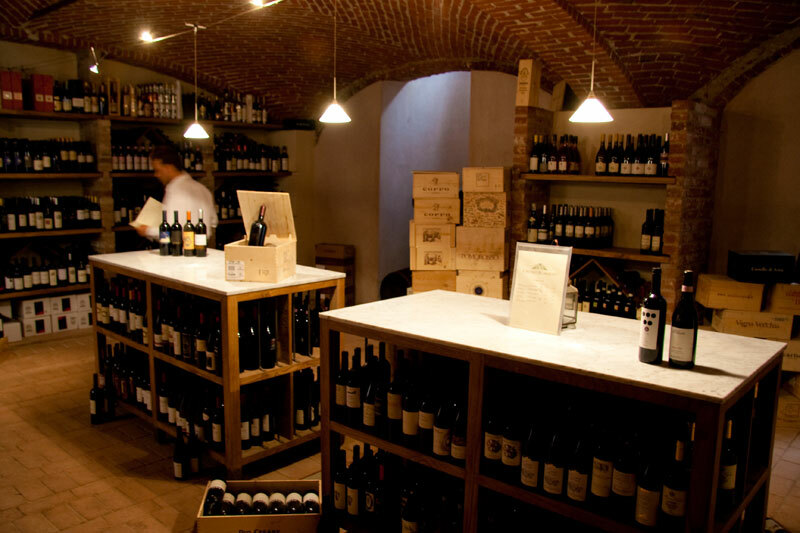 The cellar is full of cru Canavese products from its own winery, Cantine Crosio. 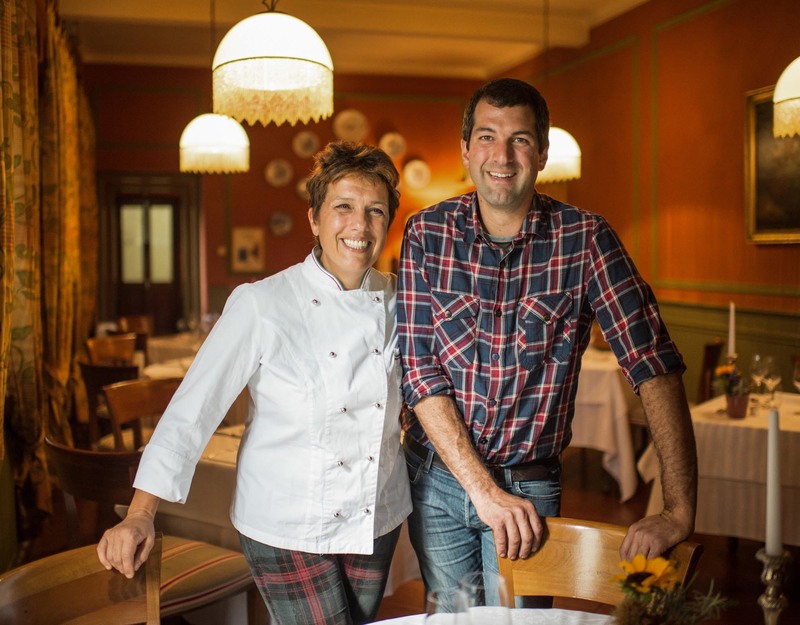 Roberto’s adventure, a young winemaker with a strong bond with his land, starts in 2000 in Caluso, the area historically well-known thanks to Erbaluce wine. This vine can be interpreted in different ways thanks to its versatility: you can in fact get still white, classical methods and raisin wines. Roberto is joining this production with Barbera and Nebbiolo wines and other types of red grapes, to tell a story that otherwise would be lost.